Ну, встречаем:))) Очередной номерной релиз Тунгуски из серии "Точка на карте"
The BTA (Bolshoi Teleskop Alt-azimutalnyi, Large Altazimuth Telescope) is the largest Eurasian optical telescope with a 6-metre solid main mirror installed at the Special Astrophysical Observatory on Semirodniki mountain at the foot of Pastukhov mountain (2733 meters) located near Nizhniy Arkhyz village of the Zelenchuksky District, Karachai-Cherkes Republic, Russia, 2070 meters above-sea level. It was the largest telescope in the world since 1975, when it surpassed the 5-meter Hale telescope of Palomar observatory, and until 1993, when the 10-meter segmented mirror Keck telescope had been put into operation. Nevertheless, BTA had been the largest solid mirror telescope until 1998, when the 8.2-meter VLT telescope had been put into service. 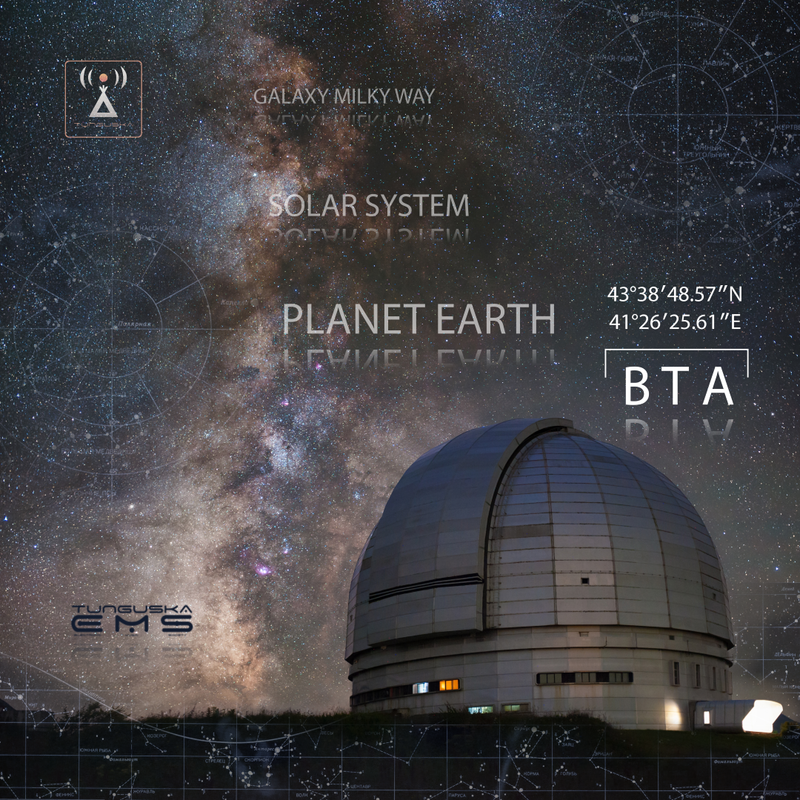 To present day BTA has the heaviest mirror and its dome is the biggest astronomical dome in the world.